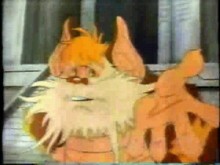 In 1987, the ThunderCats characters were utilised for this public service announcement, which was broadcast during commercial breaks on US television. This particular video is very special, as it features unique animation (intermixed with shots from the ThunderCats opening titles) in the style of ThunderCats’ second season, and voice work from Larry Kenney and Bob McFadden in their roles as Lion-O and Snarf respectively! This video is highly rare, a recording of it having been located in the summer of 2006. 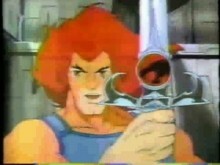 At the present time it is not known whether any more ThunderCats Public Service Announcement videos were produced or whether this is the only one. If anybody has any additional information to share about this, please feel free to contact Chris (He-Fan). With thanks to trynot2laugh for the kind donation of this video, and to Katy Cartee Haile for helping us gain permission to feature it!